Spinal cord injury (SCI) can be lethal; however, the precise mechanisms underlying healing are unclear, limiting the development of effective therapies. In this study, the molecular mechanisms involved in SCI were investigated. Clinical peripheral blood samples from normal individuals and patients with incomplete SCI (ISCI) and complete SCI (CSCI) were analyzed by RNA-Seq. The expression levels of EPHA4, CDK16, BAD, MAP2 Normal 2, EGR, and RHOB differed significantly between the SCI group and normal individuals, and these results were verified by q-PCR. A gene ontology (GO) enrichment analysis showed that differentially expressed genes were mostly enriched for the neurotrophin TRK receptor signaling pathway. We verified the expression of neurotrophic factors and found that they were all expressed most highly in the SCI group. 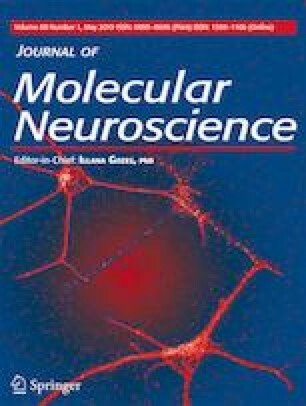 The results of this study demonstrate that neurotrophic factors are highly expressed after SCI and the neurotrophin TRK receptor signaling pathway may be involved in the initiation of nerve system regeneration. Chunqing Wang and Hangzhou Lv contributed equally to this work. This work was supported by grants from the Guiyang Science and Technology Bureau fund (2018-1-88).